The revolver is a timeless piece of art. Since the invention of the Paterson, the revolver has been a solid part of Americana when it comes to firearms. 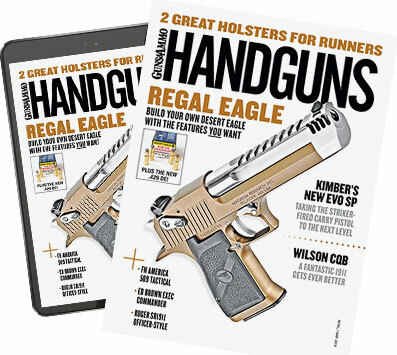 Don't get me wrong â€“ I like a good auto pistol as much as the next guy, but the self-loader, even the fine old 1911, just doesn't have the graceful lines of a fine revolver. While I love single-actions, double-action wheelguns are often just as lovely. Early double-action revolvers such as the Smith &Wesson Triple Lock have a classic look and feel. I'm fortunate enough to own a couple of Triple Locks, both in .44 Special. Another of my favorites is the Smith & Wesson Model 29 in .44 Magnum. Though it's a burden to carry, I really like the 8 3/8 inch barrel, particularly now that my eyes aren't what they once were. Colt double-actions are also some of the most handsome of handguns, in particular the Colt Python. I owned a fine one years ago that had been tuned by Fred Sadowski, one of the best Colt double smiths of his time. It was one of the smoothest DA revolvers I ever fired, and I wish I had it back. The good news is that Colt has stepped up their production of single-action revolvers. I had the chance to handle a couple of them recently at the SHOT show in Las Vegas, and was really impressed. The company is also re-issuing the New Frontier, which was their adjustable sighted single action. I handled one of those as well, and can't wait to burn some powder through one. Who knows, if Colt keeps churning out great single-actions, perhaps they'll go back to producing great DAs, too. I'm of the opinion that they would do well in offering a new Python. If you could influence any of today's handgun manufacturers to bring back a gun from the past, what would it be?